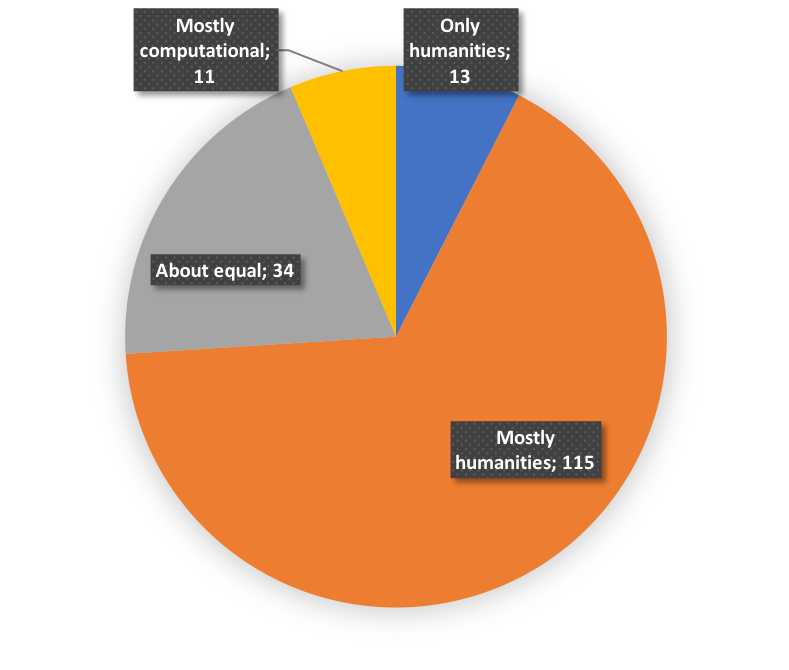 Disciplinary Diversity: are participants of DH collaborations mostly from a humanities or from a computational background? When humanities scholars and computational researchers collaborate, they establish what I call a trading zone (Galison, 1997). An open question is whether, through continued interaction in a trading zone, a new community is formed with practices and discourses distinct from the original disciplinary cultures. In a collaboration, participants may learn from one another to adopt shared practices and discourses, a process that Wenger calls a shared history of learning (1998). This stands however in a bidirectional relation with what he calls the geography of practice. That is, the physical locations of scholars influence interactions and the likelihood of learning new practices as collaborators, and thereby establishing a new community of practice. When such a new community is indeed established, participants may drift apart from their original disciplinary cultures. To illustrate, when a historian through continued interactions with computational researchers starts thinking of their own research as testing hypotheses against a historical dataset with the use of algorithms, this could make it easier for them to discuss their research with a computational researcher than with another historian not part of the trading zone. The trading zones of digital humanities are thus characterized by a complex of boundary practices (Wenger, 1998). Within a trading zone, participants endeavor to cross the boundaries of disciplinary cultures. Yet participants simultaneously construct new boundaries with scholars outside of the trading zone. The boundary practices of trading zones are therefore a duality of boundary crossing and boundary construction that is in need of closer inspection. In this paper, I aim to examine how these boundary practices occur in digital humanities collaborations through two dimensions. The first dimension is disciplinary diversity, reflecting Wenger’s shared history of learning before a scholar becomes part of a digital humanities trading zone. This describes the participation of humanities scholars and computational researchers. At one end I consider collaborations that consist entirely of participants from a single disciplinary grouping, i.e., entirely from the humanities or entirely from computational research. At the other end, I consider collaborations that have a more or less equal distribution of participants from different backgrounds. The hypothesis underlying this dimension is that a small disciplinary diversity will mean less boundary crossing within the trading zone, and less boundary construction with the outside of the trading zone. In contrast, a large disciplinary diversity will mean increased boundary crossing within the trading zone, and potentially increased boundary construction with the outside of the trading zone. The second dimension is physical distance, reflecting Wenger’s geography of practice. This describes the distance between collaborators in physical space. At one end, I consider collaborations that are entirely located in a single office. At the other end, I consider collaborations that are international and involve participants from different institutions in different countries. The hypothesis underlying this dimension is that when a historian in a collaboration has a small physical distance to computer scientists by sharing an office, but a large physical distance to other historians, this would facilitate boundary crossing within the trading zone, as well as boundary construction with disciplinary peers the outside of the trading zone. 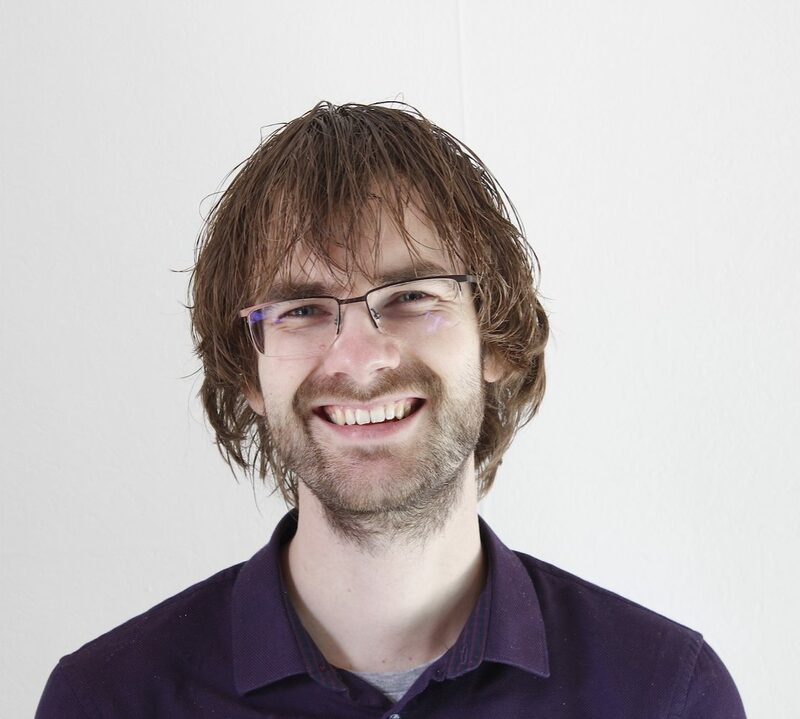 In contrast, when this historian has a large physical distance to computer scientists, but a small physical distance to other historians, this would inhibit both boundary crossing within the trading zone, and boundary construction with the outside of the trading zone. At the DHBenelux conference, I will present an analysis of an online survey I have conducted on the organization of digital history and digital humanities collaborations, and I include some preliminary results in this abstract. Scholars from five different continents have participated to describe 173 collaborations. With respect to disciplinary distance, 75% of collaborations were strongly from a humanities background; 7.5% had participants only with a humanities background, and 66.5% where the participants were mostly from a humanities background. 19.7% had an equal distribution of participant’s backgrounds, and 6.4% had participants mostly from a computational background. No collaborations were entered where participants only had a computational background. The majority of collaborations also had leadership, such as the PI or director, with a background in the humanities, although 17.9% of collaborations had at least one person in leadership with a background in computational research. With respect to physical distance, the majority of collaborations were conducted on a long distance; 26.6% included multiple institutions from a single country, and 26.6% included institutions from multiple countries. For collaborations within a single institution, 9.8% were spread over multiple buildings, and 14.5% were spread over multiple offices in a single building. 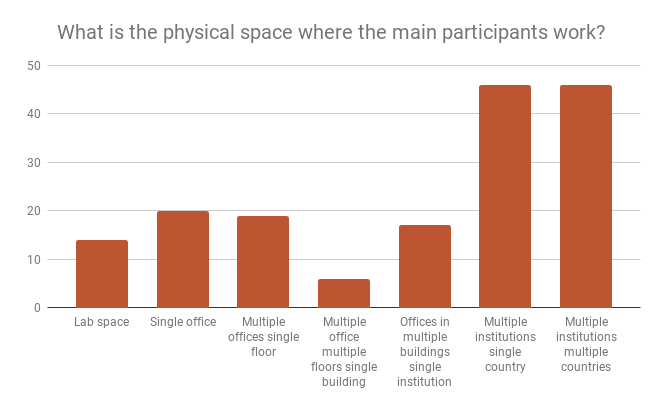 19.7% were in a single space, either a single office or a lab, see figure 1. These preliminary findings suggest there might be fewer boundary practices than expected. When collaborations consist of mostly humanities scholars, and are conducted on a larger distance, I expect such digital history collaborations will have less boundary crossing within the trading zone, as well as less boundary construction with the outside of the trading zone. At the conference, I will present a more detailed analysis, in which I will uncover further patterns of boundary practices in digital humanities collaborations. Figure 1. Preliminary results for physical distance, displaying frequencies. Distance is closest at the left and longest at the right. Collaborations with multiple institutions make up over half of all the collaborations. Galison, P. (1997). Image & logic: A material culture of microphysics. The University of Chicago Press.